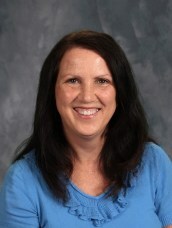 Mrs. Chaffin been with Westside Catholic Preschool since 2006. She is the Teacher’s Aide. As a young girl, Mrs. Chaffin attended St. Agnes School. Her life has been touched by many children. "I love teaching a child something new and watching the excitement when they have mastered it. I’m so amazed with what’s accomplished in a short amount of time. Learning the ABC’s, numbers, writing their names, sharing, and manners are the tools they will use for the rest of their lives." Mrs. Chaffin has been married to her husband Chris for thirty-eight years. They have two married children and seven grandchildren. She enjoys spending time with her family, walking, sewing, working in her flower beds, and traveling.